Has it ever crossed your mind why people prefer night travel as their best time of travel to their various destinations in Kenya and the world at large.? Today am going to give you a few points to support this travel habit. Solar Generated Heat. This is because of the days' solar heat that is generated by the sun. Due to majority of buses lacking A/C the environment in the bus tends to be hot with hot breathing air. 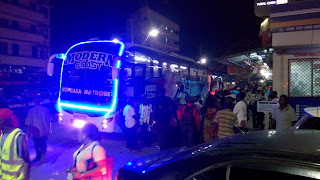 This mostly occurs before the bus departures from the booking office hence making people prefer night travela. Comfortable Sleep During. As we human were automatically modified to sleep at night most of passengers prefer night travel due to comfortable sleep time that is unlike day sleep. Short Travel Hours Concept. This concept is experienced by majority of travellers who travel during night hour. This is due to the cool night breezes and the comfortable night sleep hence one feel so relaxed sleeps almost throughout the journey once he/she wakes up, gets surprised that s/he has arrived at the destination or is almost to arrive at the destination. Less Traffic at Night. As we all know that during the day most motorist from tuk tuks, matatus and manyangas uses our roads, during night hours they tend to decline in numbers as most operates to 9pm reducing traffic on the roads hence a smooth flow by bus and heavy load trucks on our roads. Tell us more on your night travel experience on the comments section below and we will add them on the Reasons List. Bus Kenya, We Will Take You There..